In 1939, Germany invaded Poland and World War II began. In 1940, German tanks rolled into France, crushing the French army in a matter of weeks and occupying the entire northern part of the country. 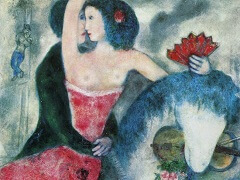 Unlike his French colleagues, for Chagall the war was no abstract concept that he could condemn from the sidelines whilst continuing to work and live as normal. For him, staying on the occupied territories was risking the death camps. He fled, together with his family and paintings, before the invasion, to the town of Gordes in Provence, in the south of France. 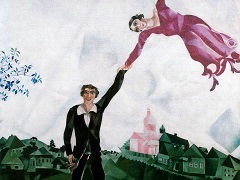 When the Vichy puppet-government began to offer greater and great cooperation to the Germans, Chagall realized it was not safe to remain there either. 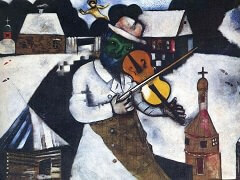 The painter was, in fact, seized by the authorities, but soon released, after pressure from the United States. In the June of 1941, he and his family went to Marseille where got onto a boat for New York. He arrived in New York City on June 23, 1941, only a day after Nazi Germany invaded his distant homeland of Russia in Operation Barbarossa. 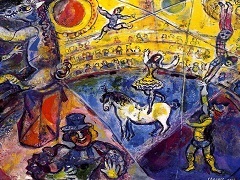 In the United States, Chagall initially settled in Preston, Connecticut, a short way outside New York City. Soon, however, the family moved into the city itself. 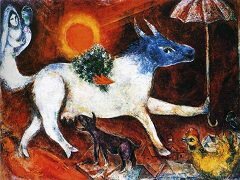 Altogether, Chagall lived in the country for 5 years. He visited Mexico briefly in 1942. 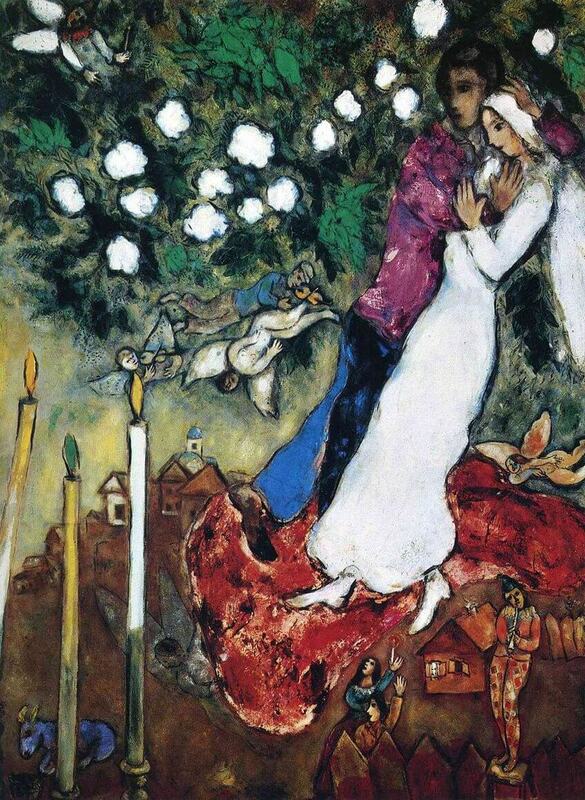 The Second World War felt very personal to Chagall, as someone who had lived, worked and had fond memories of Germany, France and Russia and as a Jew. 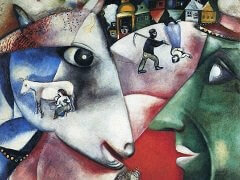 The unease he felt reflected on his paintings, which become more somber and full of angst than ever. The color red appears in abundance. The Three Candles is the masterpiece of this period.